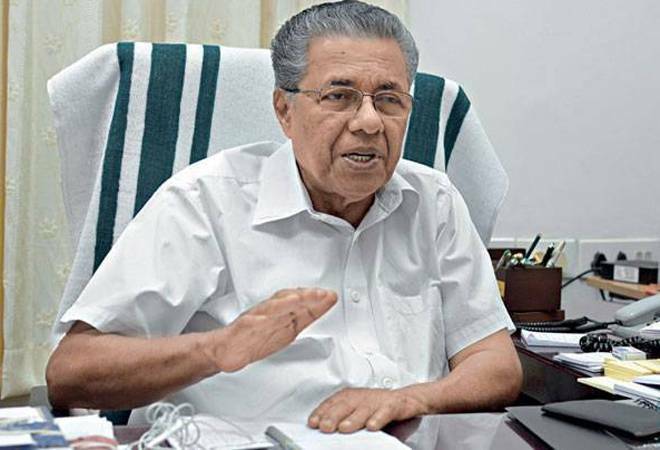 As Kerala struggles to get back on its feet in the wake of the massive damage wrought by the worst floods in nearly a century, the state's Chief Minister Pinarayi Vijayan yesterday urged Malayalees across the world to pitch in with a month's salary. His appeal on Facebook added that "Malayalees should be united to build a new Kerala. Kerala's strength is not its treasury but the support of the world". For those who can't afford to donate a full month's salary at a go, Vijayan suggested donating three days' salary for a period of 10 months instead. In a statement released last Friday, Vijayan had said that as per initial estimates the total damage in the state stood around Rs 20,000 crore. "It goes without saying that the actual number will steadily go up once the water recedes and the final assessment is made. To put it in a nutshell, the size of the loss caused by the calamity is equal to the size of the annual plan the state has chalked out for 2018-2019," he had added. So far, the death toll stands at 372 lives and over 26,000 homes have been damaged or destroyed. Some 4.6 lakh people are still stuck in 1,435 relief camps, although at least three lakh houses across the state have been cleaned so far. The receding flood waters had left mounds of mud and debris that are being cleared out by locals. However, the water-logging of homes in various places continue to be a concern - especially in the Kuttanad region of Alapuzha district, among the worst affected by the floods. Authorities told PTI that huge pumps will be used to flush out water from homes and premises, after which the cleaning process will kick-off. In the coming days, relief camps set up in schools and colleges will be wound up, Finance Minister Thomas Isaac told reporters in Alapuzha. Those with fully-waterlogged homes even now would be shifted to marriage halls and convention centres, he added. The Centre has already disbursed Rs 600 crore for relief and rehabilitation efforts and an additional amount will reportedly be released from the National Disaster Relief Fund post a fresh assessment of damages. In addition, Rs 562.45 crore has been made available in the State Disaster Response Fund. But, given that the state had asked for a bigger helping hand of Rs 2,000 crore, donations will play a big role in paving the road to normalcy.